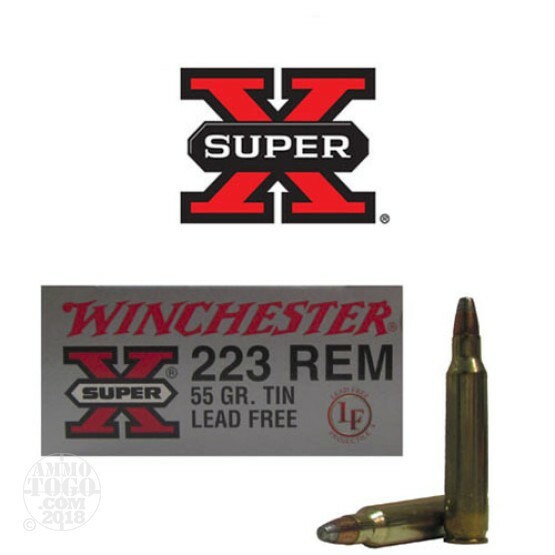 This is .223 Winchester Super-X 55gr. Tin Lead Free Soft Point Ammo. Features a copper alloy jacket to reduce barrel fouling and a lead free tin core. Muzzle velocity: 3050fps.This ammo is packed in 20rd. boxes.